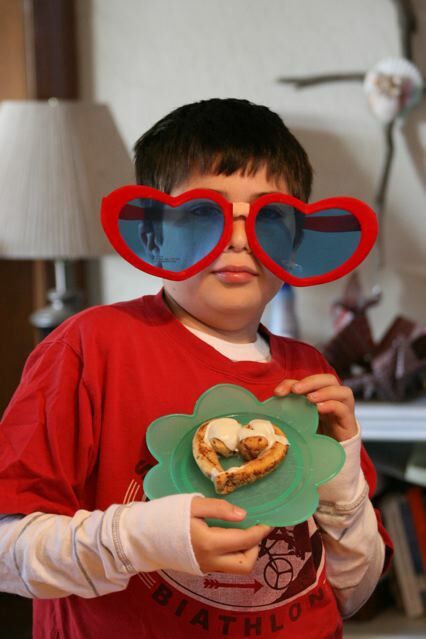 Started off the morning with heart-shaped cinnamon rolls and strawberries. 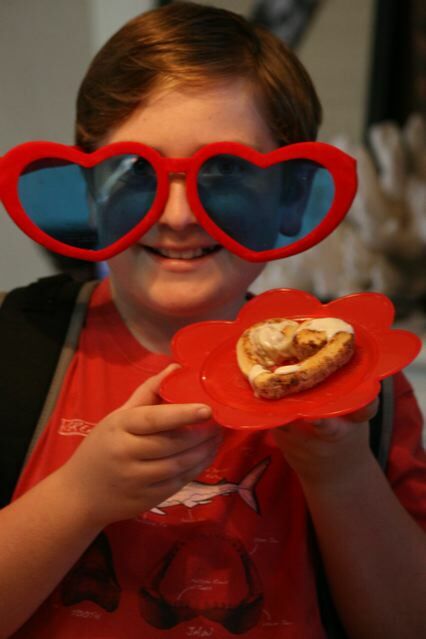 Nick brought in the Shark he made with Hubba to collect Valentines and Joe brought in a white chocolate carmel apple for his teacher. 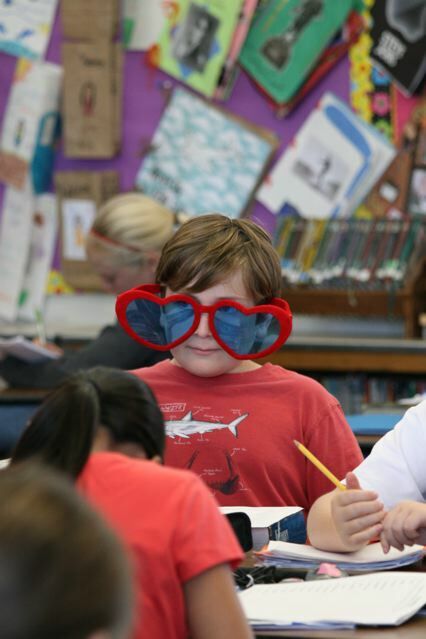 I had to take a couple of pictures of some kiddos who were absent in Nick’s class so I was able to see Nick, still wearing his heart-shaped glasses!! 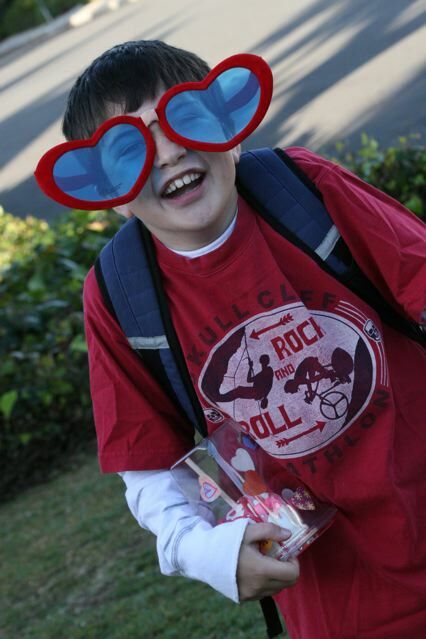 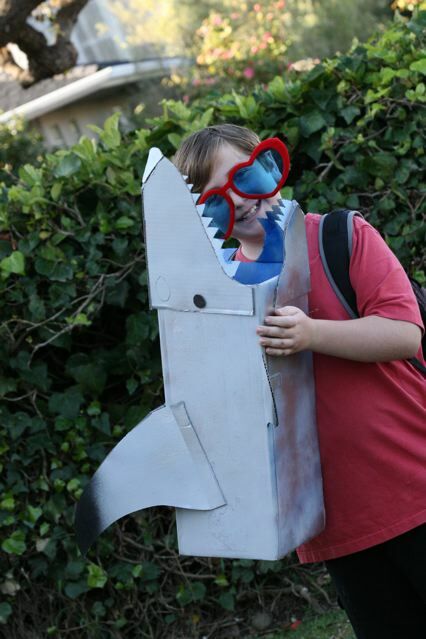 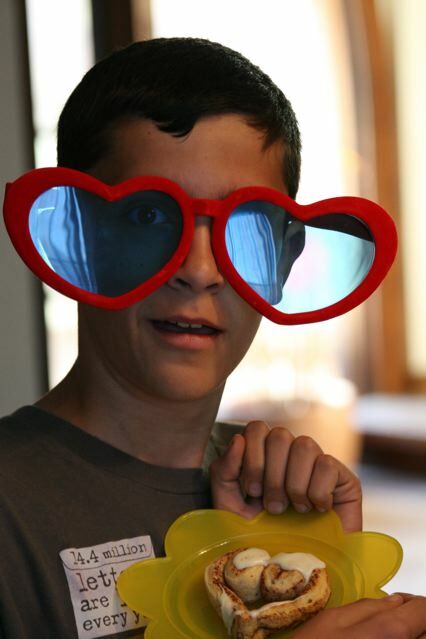 Joe added tape to the center of his heart-shaped glasses so they were nerd glasses!